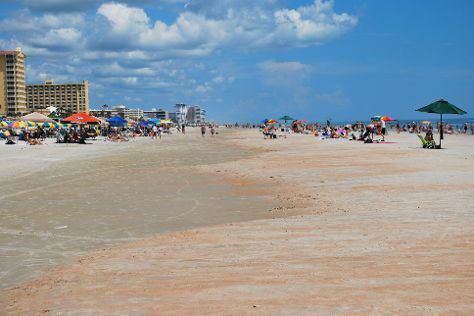 Step out of the city life by going to Scuba & Snorkeling and Beach at Daytona Beach. Your cultural itinerary includes sights like Stetson Mansion and International Drive. Get out of town with these interesting Orlando side-trips: Angell & Phelps Chocolate Factory (in Daytona Beach), Ponce de Leon Inlet Lighthouse & Museum (in Ponce Inlet) and Cubby's An Art Studio (in Inverness). The adventure continues: get some fabulous bargains at Orlando Premium Outlets - Vineland Avenue, immerse yourself in nature at Ellie Schiller Homosassa Springs Wildlife State Park, look for all kinds of wild species at Alpaca Magic USA, and glide peacefully along the water with some of the best stand-up paddleboarding in the area. Expect a daytime high around 78°F in November, and nighttime lows around 62°F. Finish your sightseeing early on the 30th (Fri) so you can travel back home.